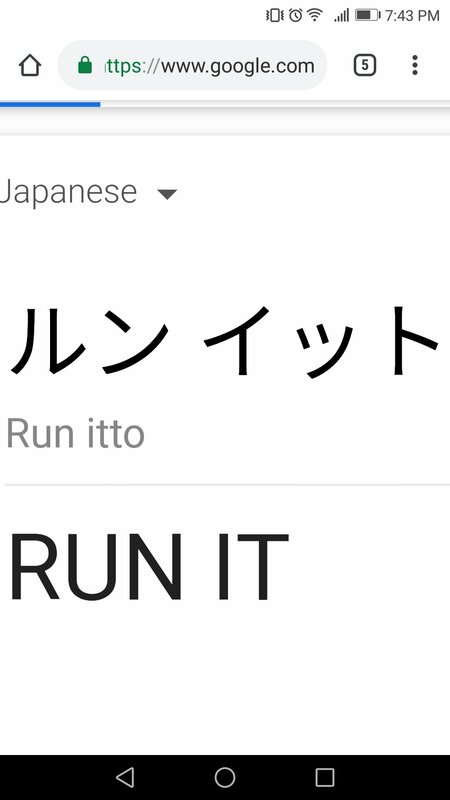 Hi, I'm having some trouble finding the real translation to the words "Run It" in Japanese (yes I checked google). Is there anyone who knows what that translates to? Attached, I have a guess of what it translates into. Please let me know if it's correct or not. That is katakana. It is used to "sound out" foreign words in Japanese. FWIW, i can read some japanese but dont always understand it. 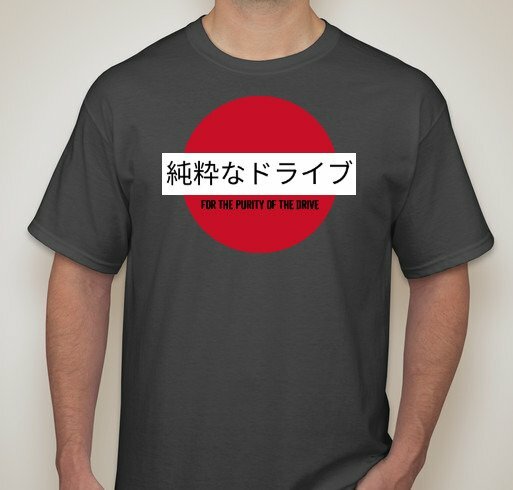 Took 2 years of beginer Japanese in college. I asked my wife as she is Japanese but at work. She said that she needs to know how you are going to use this? Please provide a sentence or praise. I agree. I am Japanese, although not 100% fluent because America, but I tend to use a lot of "Janglish" instead of straight up Japanese. 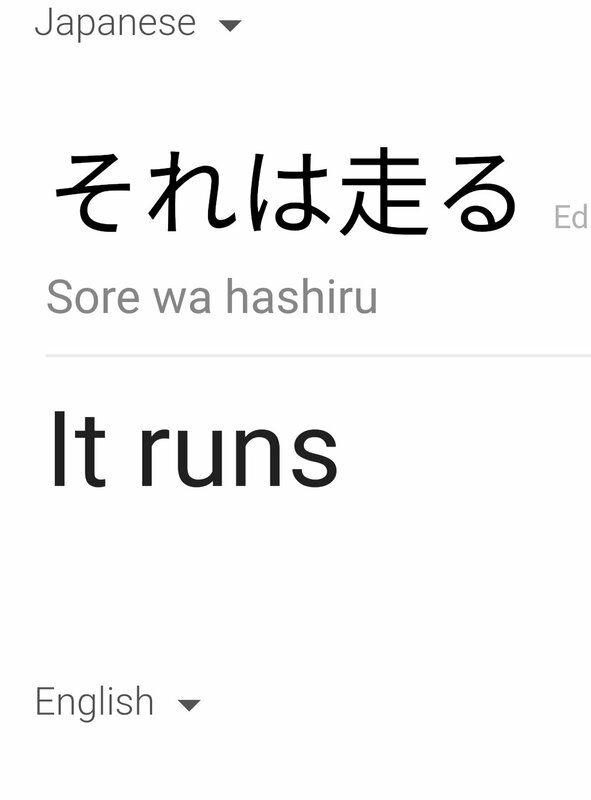 Japanese is a more exact language than English, so how you want to use "run it" would dictate which word or slang to use. Please just use it in an English sentence. That will help her understand what you are tiring to say or how you want to say it. Hmmm... "I'm going to the race track and I'm going to run it" / "make the car run" another term could be "drive it" / "I'm just going to drive it"...Maybe ask if "drive it" can be translated? Now I am trying to find out what the difference is. How do you pronounce those 2? Now this is getting complicated. As I said, she is at work but wont be home until 7:00 PM. I will send you a PM later and then you can speak by phone. The top one means, "Run the car". 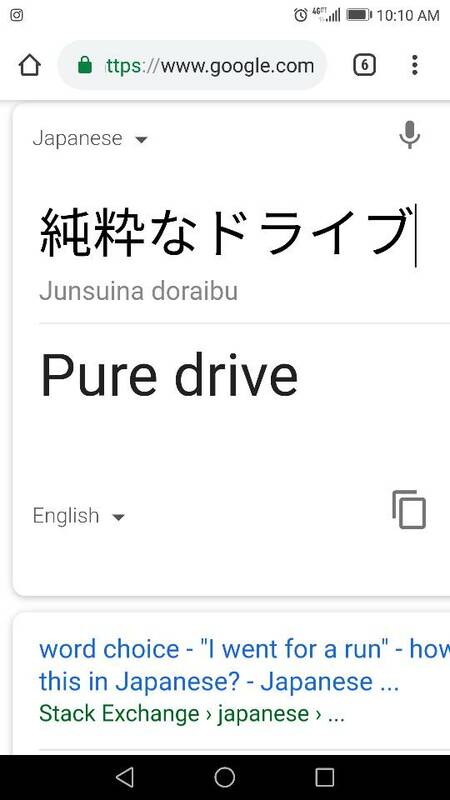 The bottom means, "Drive the car". I would use "hashiru" in regards to racing. Some of my friends when I lived in Japan would say "ikimasu" meaning they were going out on the track. They would say somethig like "Saatte, ikimasu" after taking a break. One last question. Does this translate correctly? I take it this is for a sticker design? FWIW, im gonna start a club called "Highway Star". You can spell in english or Katakana. I think Kanji looks better. all I can picture is the reverse of this happening.